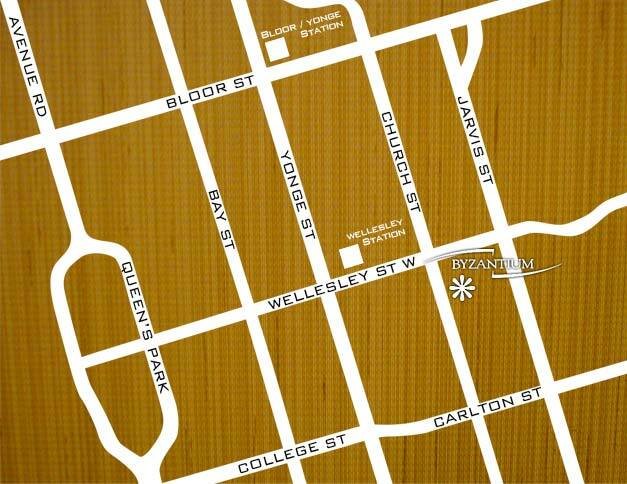 We are located at 499 Church Street, just south of the intersection of Church and Wellesley. There is metered parking on Church Street and on all of the side streets (side streets become permit only at 6pm). There is paid underground parking across the street and municipal parking a 5 minute walk across from Wellesley subway station. Wellesley subway station is a 5 minute walk and the Wellesley/Castlefrank bus passes the intersection of Church and Wellesley every 15 minutes.